It’s been ten years since launching the Acutus Reference and little did people realise the improvement this would make to the original Acutus. For many the Reference opened their ears, unlocking their record collection and setting them on a compulsive journey of rediscovery. It’s been ten years since launching the Acutus Reference and little did people realise the improvement this would make to the original Acutus. For many the Reference opened their ears, unlocking their record collection and setting them on a compulsive journey of rediscovery. Our thirst for improvement not quenched and a decade on, the now legendary AVID Acutus Reference SP takes another vast leap forward. The critically acclaimed Acutus Reference SP turntable has a stable mate and will be joined by the Acutus Reference Mono SP. Over the years the majority of turntable manufacturers have turned their back on the AC Synchronous motor as a driving force. 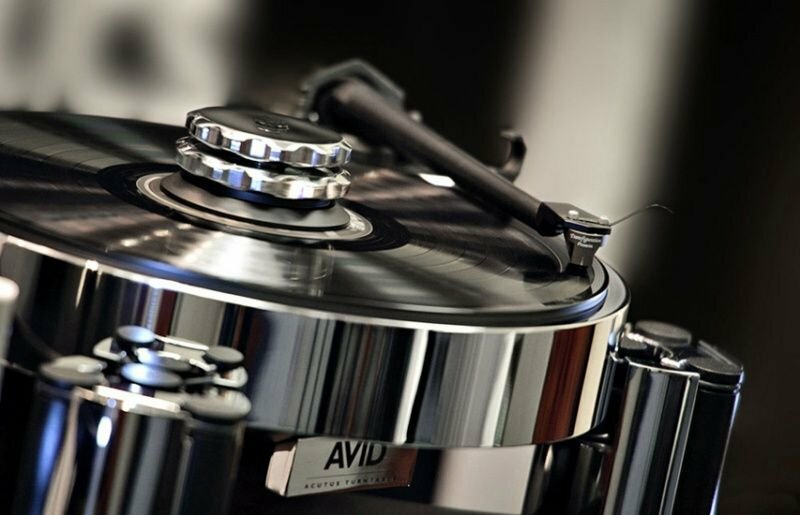 AVID has not only recognised its high torque and natural speed locking design but looked to enhance its potential still further. The large powerful motor used in the Acutus Reference SP remains unchanged and drives the new Acutus Reference Mono SP. This is simply not just another AC Synchronous electric motor; this is a heavily modified beast of a motor. Any electric motor has one big disadvantage, the larger the motor the more potential for vibration and noise. This creates the opportunity for this motor vibration to enter the turntable, reducing the overall performance. Others have sought to use the same motor we employ but have failed as they could not control its power and subsequent vibration. Within our own factory this motor is totally transformed from its original form, many of its internal components discarded. The motor internal pole frame assembly, usually in pieces, is bonded together to form a whole single structure to reduce internal vibrations. Field coils are isolated and we only use matched pairs so when combined with the individually tuned power supplies, physical vibration which would directly affect the final performance all but vanishes, allowing the Acutus to have the lowest noise floor possible so you hear more of the recording and less of the masking effect low powered motors and power supplies produce. Many would regard the turntable power supply as, well just that, a turntable power supply with little more thought. Actually, our power supplies are large integrated amplifiers, with a DSP controlled Pre-Amp and a Stereo Power Amplifier. Each channel of the amplifier controls one of the two coils within the motor, similar to driving two loudspeaker coils. So our turntable power supply operating an AC synchronous motor has similarities with driving two loudspeakers. Liken the Acutus to loudspeakers and improving the power supply is like moving from an integrated amplifier to a Pre-Mono combination. Welcome the Acutus Reference Mono SP, the next logical step and the leap in performance it offers will leave you breathless. During the development many experts and enthusiasts have witnessed the improvement, many disbelieving it could be the same record. The difference is not a subtle subjective difference but an immediately obvious improvement in all aspects that goes way beyond any expectation. Lower noise floor, extension of both bass and treble responses and a significant dynamic improvement surpassing the Acutus Reference. But even more startling is the naturalness and intimacy of the performance as it truly enters your space and deep into your soul. We have re-designed the amplifier stage way beyond most audio amplifiers and enabled twin mono operation to power each motor coil. Not limiting performance to save cost the new power supply is truly mono, employing the contents of two full Reference power supplies. So yes, there are two 1kVA mains transformers, twin regulated power stages, two massive capacitor banks and double soft start board, these vital to protect from the massive in-rush current potential that would attempt to draw nearly 100 amps of current when you switch on. Not forsaking appearance, we have housed all this power into new casework to match the Reference Pre and Mono amplifiers. Ever since their launch this casework design has received much praise. Logical then that this new power supply joins our Reference Line. It now means the Acutus is offered in three levels of performance and good news for existing Acutus owners, it's available as an upgrade. The all new Acutus Reference Mono SP is an unashamed indulgence that offers a no cost compromise at vinyl reproduction. As someone once wrote, "Beautifully made, compact, easy to set up and maintain, the only reason not to want it is the high-end cost. Aaah..the price of luxury." It's now become somewhat of a bargain in the world of overpriced jewellery turntables !!! !